Jewish Music Superstar Ohad Moskowitz presents his new hit song ‘Shlach Malachecha’ from his newly released album. 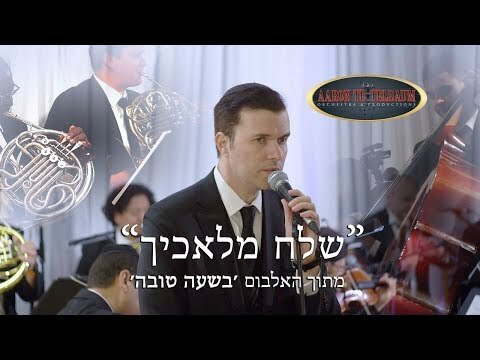 In this live performance Ohad is accompanied by a symphonic orchestra which was conducted by Maestro Yisroel Lamm, and which took place at The Old Westbury Hebrew Congregation, at the Apfelbaum & Levenson wedding on September 2nd 2018. The musical production was under the direction of Aaron Teitelbaum. It’s been only a month after the release of Ohad’s sixth album, and the best songs of the album are already being requested and performed on stages throughout the Jewish world. The song ‘Shlach Malachecha’ was composed by Eli Klein and Yitzi Berry and in the short period since the album’s release is emerging as a popular hit for Chuppa ceremonies that will be an exciting soundtrack for those special moments. “From the moment the album was released, in all the weddings that I perform, they ask me to sing ‘Shlach Malachecha’, ‘”says Ohad . “The Hartzig words, along with the precise melody that perfectly expresses the meaning of the words, together constitute a beautiful musical piece that is perfect for a couple who is currently walking down the aisle. 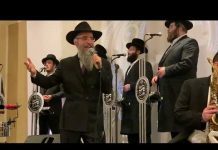 I wish that I will meet as many couples as possible with this song and that Hashem will indeed bestow His blessing over the bride and groom on their special day”. Beautiful voice and song. Does hiring a professional singer guarantee a good marriage? No, but it leaves a good hole in the pocket, that while enjoyable, isn’t what the couple (and the parents who’re footing the bill, hopefully after paying full tuition) needs. Having a 50 piece orchestra and a singing star is a way for the PARENTS to show off for their neighbors and friends. Keep up with the Jones’ and a little extra. The young 19 – 20 year old couple don’t know from nothing yet. I’ve been asking the same question about those who build monster mansions in their neighbors face. Does such a mansion guarantee shalom bayis and good children? Good health? Arichas yomim?